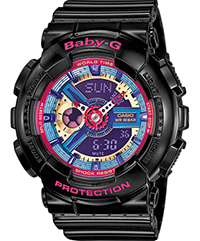 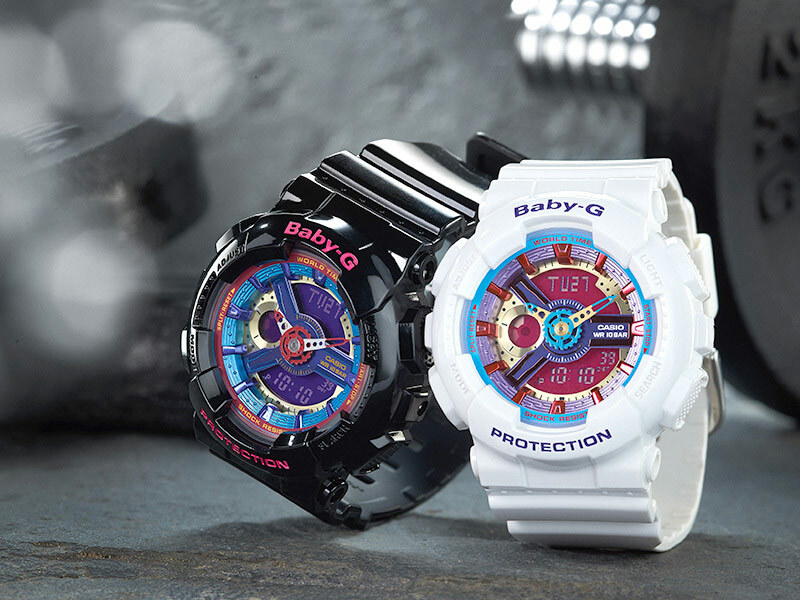 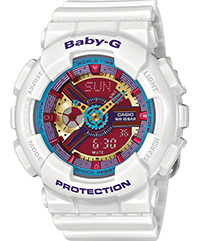 Robust features meet striking colours: The models in the new BABY-G BA-112ER series perfectly complement your street style outfit. 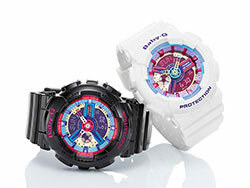 In keeping with the current urban fashion trend, the models are available in black and white. 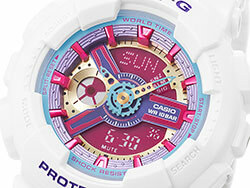 The three-dimensional multi-colour index in blue, pink and gold creates a stylish look. 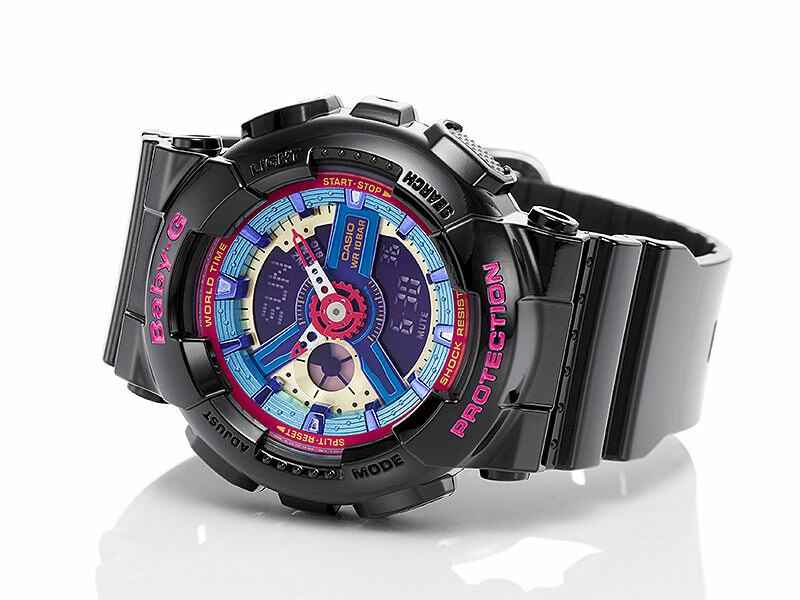 A variety of functions, including an LED light that allows you to read the half-analogue, half-digital watch face even in the dark, help you to keep a clear overview around the clock in the urban jungle.